Cables never go out of style and are even easier and neater when worked in the round. 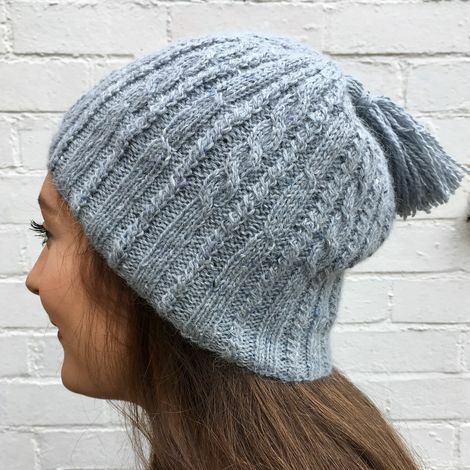 This cabled beanie project is a great introduction to knitting and shaping your work in the round. Price includes yarn, pattern and all tuition. Parking is available on site, with £2 fee redeemable against any purchase from the restaurant. In the unlikely event that I have to cancel a workshop I will inform you as soon as possible and you will be offered a full refund or the chance to book onto another workshop. If you need to cancel the fee is non-refundable.